There is a decision that is being made by hundreds of millions of people living in poverty, the world over. It could very well describe the reason for perpetual poverty. I call it The Daunting Decision. It’s the decision parents throughout the developing world make when they decide whether or not to send their children to school. How do you explain the importance of education to a parent that has to make their average income of $10-15 per week keep an entire family unit afloat? Understandably, many families decide their child cannot attend school, because it costs too much ($2 average per child per week), there is no meal provided in school, and the child cannot work to help the family survive. This decision leaves more young people lacking a proper education and fewer opportunities to leave the bonds of poverty as they grow into adults. A lack of education has been linked to some of the most dangerous aspects of life on Earth. With the recent passing of one of my heroes, Wangari Maathai, I wanted to honor her by sharing an idea that could change the landscape of the developing world. What if the three main reasons children leave school could be eliminated? If a school had a garden that the children helped manage, they could provide enough produce to pay their tuition, provide their own school meals, and even bring home healthy produce to help sustain their families. This is worth more than what they can make with the informal work that they can find. 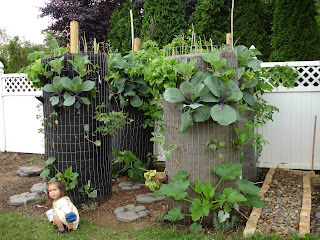 Can YA Love develops gardening systems that are among the most cost effective and space and water efficient gardens that exist in the world today. Virtually anyone on the planet that wants or needs to grow food has the opportunity to do so regardless of space availability, soil fertility, or income. We will be unveiling each garden type in the coming weeks. Today we are sharing the Growing Pillar. 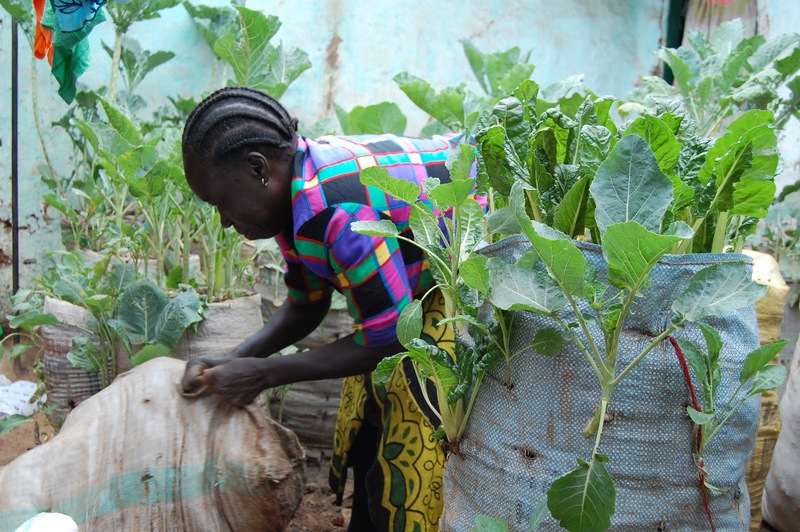 The people of Kibera inspired me with their innovative approach to farming seen here. In an earlier blog post we shared a video that shows how they use burlap sacks as a means of growing food, which helped many in Kibera avoid numerous food shortages that occurred during that time. 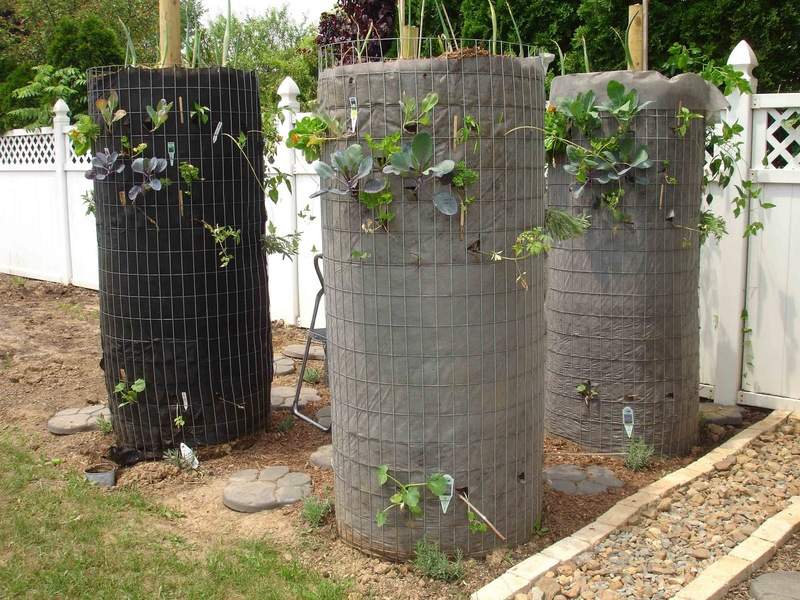 They are growing food in places where there is very little growing space and the ground that does exist is either toxic or will not retain top soil when it rains. This ingenuity sparked the idea of the Growing Pillar. We see the Growing Pillar as the pillar of our organization. 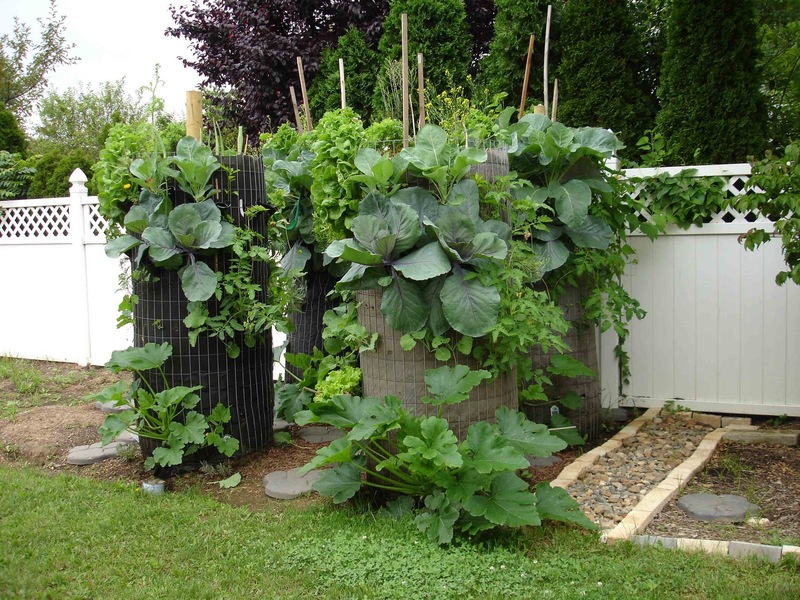 In about 9 square feet of ground space we can produce nearly 130 square feet of organic growing space by growing vertically. The advantage of the Growing Pillar does not stop at its space saving design. It also saves water. Irrigation is done at the top of the pillar and excess water, that the soil and plants do not absorb after irrigation, can be captured at the bottom. This water usually sinks into the ground beyond the reach of the roots and is lost. 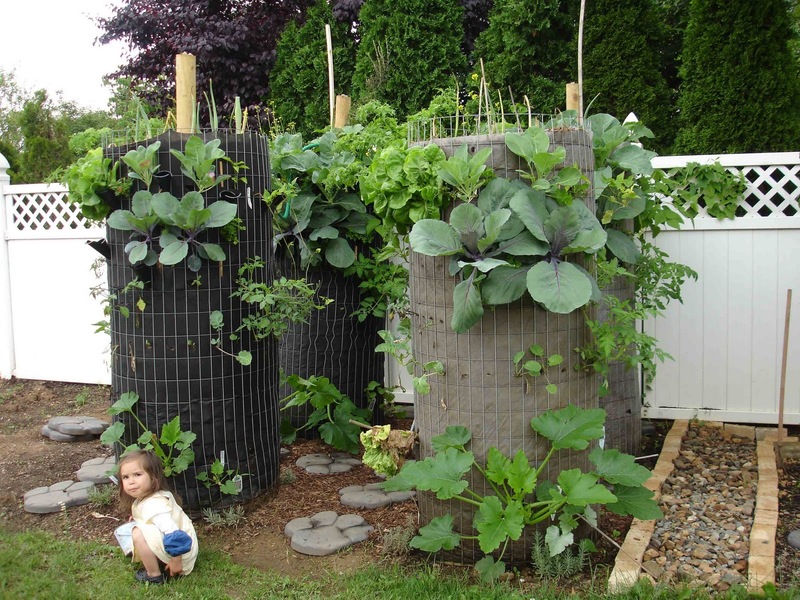 As the water trickles down through the soil, the Growing Pillar actually filters the water. The rate of evaporation in the pillar is minimal making them incredibly water efficient. In the future we hope to start an online community where people all over the world can share their pillars and discuss how and why they were implemented, as well as, valuable findings and challenges that came from their work. The pictures you see below are a 5 week progression of pillars in Allentown, PA. There is no weeding necessary with the use of mulch at the top. We used 133 plants total and 74 varieties in all with root vegetables at the top and all other herbs and plants on the side. We also have a four foot version; perfect for elderly people that cannot kneel or are wheelchair/skooter bound. All gardening can be done seated! We hope you are as excited about the enormous potential this project has as we are. We will be explaining the incredibly diverse applications of these gardens in the weeks and months ahead. I will be traveling to Kenya on February 10th to begin our work there and we need all of the support that we can get. If you want to be part of this global conversation or help CYL with any aspect of this project please email us at info@CanYALove.org. If you can help financially, go to our Get Involved! page and look for our donate button. What is donated now will dictate the breadth of our impact in February. We are about $3800 from our goal.